Who doesn’t love pizza? In our house we have it every Friday to mark the beginning of the weekend. 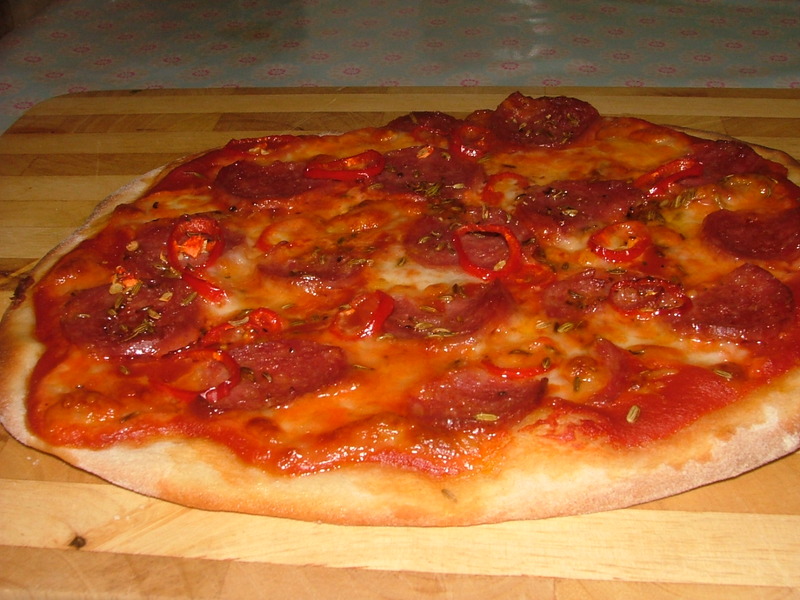 I used to buy shop bought pizzas until I started making this brilliant recipe, which gives you all the taste, but at a fraction of the price. Most importantly it is really easy – so easy you don’t even have to hang around waiting for the dough to rise, but you still get pizzeria results. Perfect. Take another baking tray and make it non-stick by drizzling with oil. Rub oil in so it is spread evenly across the whole tray. Dust the whole tray with flour tapping away any excess on your clean work surface. 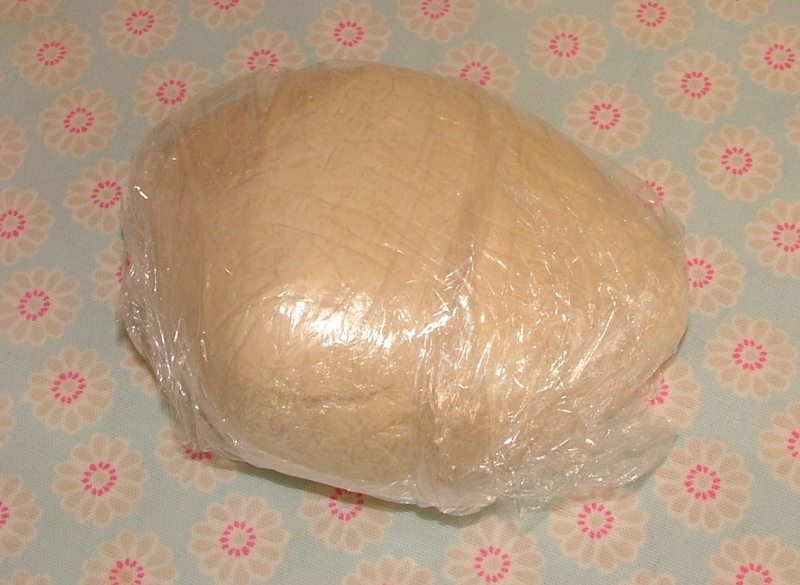 Knead for 10 minutes – the dough will feel cold and smooth when it is ready. Dust with extra flour if necessary to stop it sticking. When ready put it back in the bowl and cover with a tea towel while you prepare the other ingredients. 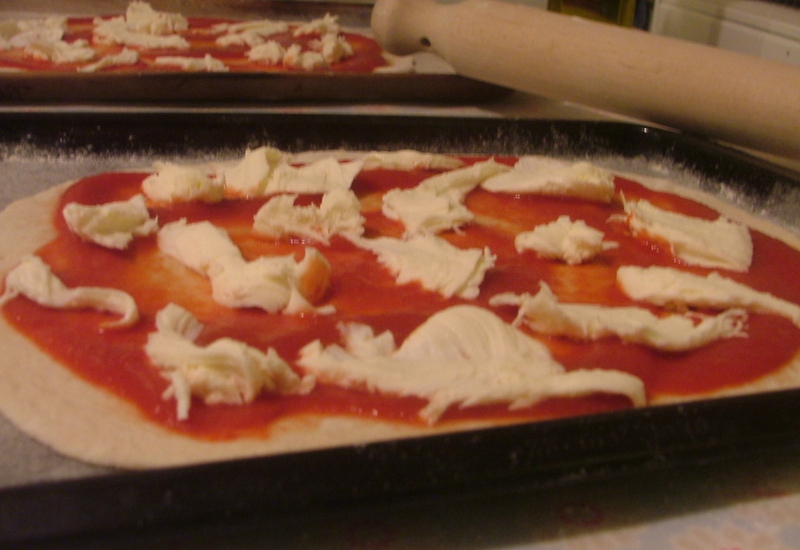 Divide the passata and spread onto the pizza bases with the back of a spoon, leaving 1.5cm round the edges. 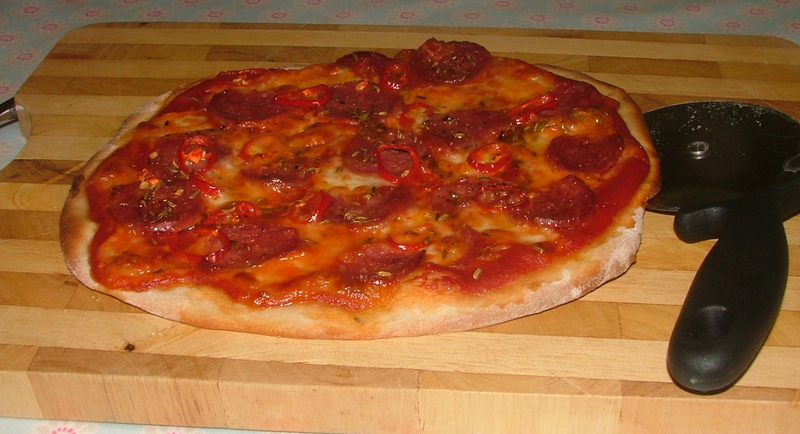 When the base is cooked the pizza should easily slide of the tray onto your chopping board. Cook for slightly longer if it doesn’t. Cook the other pizza while you are enjoying the first. You can bake both at the same time by putting another turned baking tray onto a different shelf, but you will need to increase cooking times by about 5 minutes. Make double or four times the amount you need. Roll each portion into balls and wrap in cling film greased with oil (see photo below). Freeze and defrost a few hours before needed.